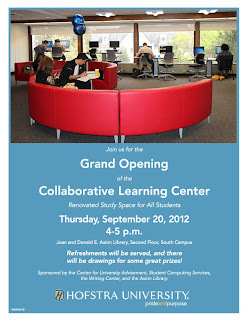 Collaborative Learning Center (CLC) - Opening Celebration! Come check out what is sure to be your new favorite study/work/learning space on campus, the Collaborative Learning Center (CLC). 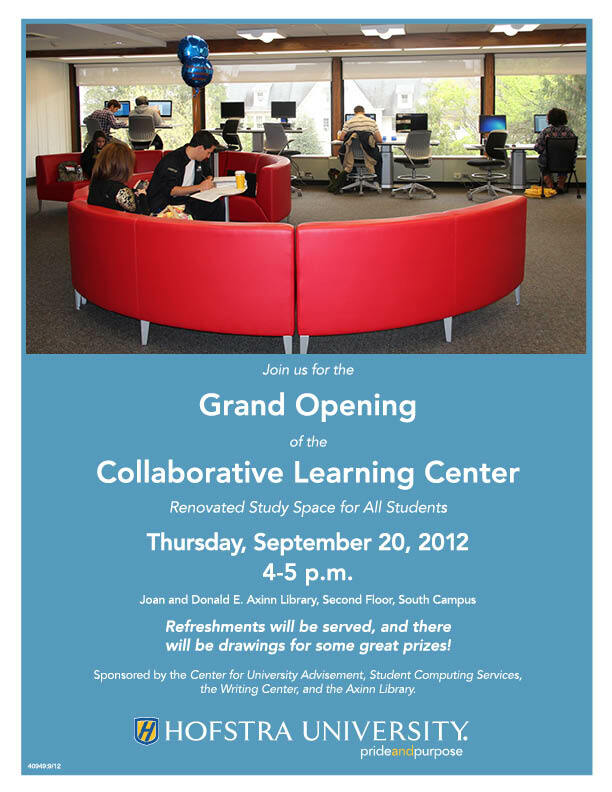 Join Provost Herman Berliner, fellow students and the Hofstra community for the GRAND OPENING! *GIVEAWAYS! (shh... one is an iPad) Arrive early to enter! The CLC is designed to provide all students with a welcoming learning experience where they are encouraged to share knowledge and explore in an interactive, adaptable environment. Accounting & Finance Fair - The #s Are In!